The number of international students choosing to study in Turkey has witnessed a significant upsurge from the 2015-16 academic year. Currently, there are around 650,000 foreign students in Turkey, signalling the country’s growing importance as a higher education destination. Motivations for study in Turkey include the opportunity to gain a relatively inexpensive and good quality education, with opportunities for scholarships that also pay a monthly allowance, covering accommodation and tuition fees, health insurance and travel expenses. Turkey is already a firmly established tourist destination, with nearly 40 million tourists visiting from all over the world in 2017 according to Invest in Turkey, making it the 10th most popular holiday destination. The Turkish government is keen to extend this popularity into the international student market, with a target of 350,000 international students. If you’d like to study in Turkey, click on the tabs below to find out about top universities in Turkey, popular cities for students, how much you’ll need to budget, and how to get a student visa. International students in Turkey are permitted to work for up to 24 hours per week. There are over 200 universities in Turkey, the majority of which are run by the state. Most of these institutions are relatively young; as recently as 1970, there were only eight state institutions, and the first private university (Bilkent University), was not established until 1984. Among the youngest universities in Turkey is Antalya International University (AIU), which welcomed its first students in the 2012/13 academic year, and aims to recruit more than half of its students from outside Turkey. Both public and private universities in Turkey conform to the Bologna Agreement, which standardizes degree programs across Europe, and many Turkish universities are participants in the Erasmus+ program, which supports international student exchanges. In the latest edition of the QS Higher Education System Strength Rankings, Turkey’s higher education system was ranked 43rd in the world. There are 10 Turkish universities featured in the QS World University Rankings® 2019, and 45 Turkish universities in the 2019 edition of the QS University Rankings: EECA, a ranking of the leading universities in Emerging Europe and Central Asia. The majority of these top universities in Turkey are located in either Ankara or Istanbul, Turkey’s two largest cities. 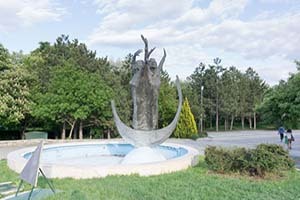 In Ankara, you’ll find Middle East Technical University, Bilkent University and Hacettepe University (all ranked in the top 50), while Istanbul is home to Boğaziçi Üniversitesi, Koç University, Sabancı University, Istanbul Technical University and Istanbul University – all of which are ranked within the top 30. Based in Turkish capital Ankara, Middle East Technical University (METU) went up a place this year to rank eighth in the EECA rankings. Specializing in the natural and social sciences, it was founded in 1956 to exercise a vital role in the development of Turkey and countries of the Middle East, and today, has about 31,000 students – many of whom are exchange students attending for either a semester or a year. Because demand is so high, METU only accepts students from the top 1.5 percent of its 1.5 million yearly applicants. The medium of instruction is English. Also ranked in the top 10 universities in the latest EECA ranking (in 10th place), Boğaziçi Üniversitesi was established in 1863 as Robert College and was the first American university to be established outside the US. Boğaziçi Üniversitesi is located in Istanbul, close to the Bosphorus strait and the historic castle of Rumelihisar, which flanks the eastern boundary of the university’s South Campus. As at Middle East Technical University, the language of instruction is English, and the university maintains strong links to the American higher education system. Ranked 14th in the 2019 EECA rankings, Bilkent University’s name is an acronym of “bilim kenti”, which is Turkish for "city of learning and science”. Bilkent University was Turkey’s first private non-profit institution, founded in 1984 by Turkish academician İhsan Doğramacı, and boasts the most extensive academic library in the country. It’s one of the nation’s leading research-intensive universities, and currently has about 13,000 students enrolled in nine faculties and two four-year professional schools – many of which are international students from outside Turkey. Also located in Istanbul, Sabanci University is fifth-highest ranked university in Turkey in the EECA rankings this year, in 18th place. It is another young university, having commenced teaching in the autumn of 1999, and currently has around 4,000 students. Within Sabanci University’s Faculty of Engineering and Natural Sciences (FENS), as well the Faculty of Arts and Social Sciences (FASS), it offers its students a broad range of disciplines at both undergraduate and postgraduate levels. Some 42 percent of its undergraduates receive scholarships. 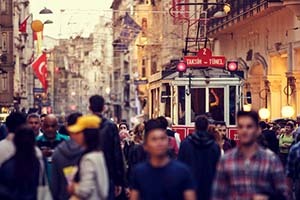 As a student living in Turkey – especially if you are based in one of the larger cities – you certainly won’t find yourself short of places to explore and things to do. Music lovers will find plenty of variety, from folk to techno, classical to pop, and hip hop to jazz – plus everything in between. The cities are full of lively venues, and Turkey hosts a number of international music festivals each year. Meanwhile film fans may already be aware of the country’s growing domestic film industry, and will find themselves in good company; cinema-going is a popular activity in Turkey, and the latest Hollywood blockbusters are widely screened. In terms of daily life, you may find yourself becoming adept at spotting a good quality doner kebab, haggling over prices at the souk, preparing (or at least appreciating) a real Turkish coffee, and perhaps even taking on the locals at tavla, or backgammon, which is popularly played in cafes and parks. Istanbul is Turkey’s largest city and has a history going back thousands of years, but is today flourishing as a global city with a constantly growing skyline. Home to over 14 million people, Istanbul welcomed approximately 40 million tourists in 2018, eight years after it was named a European Capital of Culture, making the city the one of the world's most popular tourist destinations. The cultural heritage of the city is a big appeal for tourists, and so are the clubs, pubs and Turkish taverns. Middle East Technical University (METU) and Bogaziçi Üniversitesi are two of Istanbul's highest ranked universities at eighth and 10th place in the EECA rankings, respectively. Koç University and Bilkent University are 12th and 14th, while Sabanci University also ranks highly at 18th place. Ankara is Turkey’s capital and second largest city. A busy commercial and political center, it has a large student population, as well as a significant community of international diplomats. 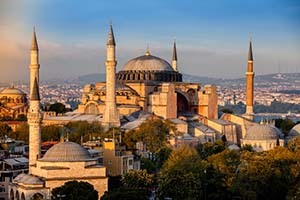 Its most popular visitor attractions include Ankara Castle, the Museum of Anatolian Civilizations, and Anıtkabir, the mausoleum of Mustafa Kemal Atatürk, founder of the Republic of Turkey. Ankara is also a popular destination for bird-watching. The two highest ranked universities in Ankara are Middle East Technical University (METU) and Bilkent University, ranked eighth and 14th, respectively in the EECA rankings. Another highly ranked university in Ankara is Hacettepe University, which is 33rd in the EECA rankings. 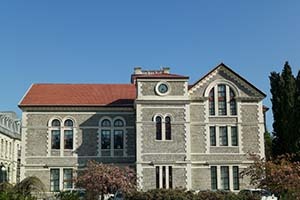 Other universities in Ankara include Ankara Üniversitesi, ranked 63rd, Gazi Üniversitesi (90th), and TOBB University of Economics and Technology (145th). The third largest city in Turkey, İzmir is known as the ‘Pearl of the Aegean’ for its picturesque location overlooking the Aegean Sea. İzmir has a liberal, laid-back feel, although the Kemeraltı market, beaches and many events and exhibitions the city hosts mean you’re unlikely to be bored here. It has a vast and multicultural history of around 4000 years, and is home to Ege University, ranked 89th in the EECA rankings, Dokuz Eylül University, which is joint 113th, and İzmir Yüksek Teknoloji Enstitüsü (IYTE) (124th). It is also home to several young universities - Yasar University, founded in 2001 and an English-medium university, the University of İzmir, founded in 2007, and Katip Çelebi University and Şifa University, both founded in 2010. Another student city is Adana, the fifth most populous city in Turkey and home to Cukurova University, ranked 171-180 in the EECA rankings. Apart from its ranking, the university’s location in southern Turkey makes it highly attractive. On the east coast of the Seyhan Dam Reservoir Lake, its facilities include dining halls amongst the pine trees. Adana is another very old city which dates back to 6000 B.C, so there is plenty of culture to enjoy here. Other top universities in Turkey include Anadolu University in Eskişehir, one of Turkey’s more affordable big cities, whose name literally means ‘old city’ in Turkish. Courses are taught in Turkish, English, French and German. Another is Süleyman Demirel University, Isparta, which is one of Turkey’s largest universities in terms of student numbers, and is also part of the Erasmus Program for exchange students. Finally, Akdeniz University in Antalya is actively encouraging international student participation, through programs such as the Mevlana Exchange Program, the Bologna Process and the International Association for the Exchange of the Students for Technical Experience. In most of these locations, many local people can speak English, making it relatively easy for international students to settle in, even without fluency in Turkish. All in all, studying and living in Turkey promises to provide an experience unlike any other – as you’ll discover if you choose this truly ‘Eurasian’ destination for your university years. Applications and any supporting documents must be submitted before the deadline, which is usually August 1. Tuition fees for international students are fairly affordable and vary depending on the program. Public universities are much cheaper than private institutions in Turkey, as a postgraduate degree at a public university could cost you as little as US$300-800 for a postgraduate qualification. Private universities set their own fees and charge up to $20,000. At public universities, tuition fees are generally more expensive for study programs in English, ranging from $600-1500 per year, while the same courses in Turkish are around $240-750. The cost of living is relatively low compared to other study destinations in Europe, with $400 to $500 estimated to be needed per month to cover living costs including accommodation, although this will depend on your lifestyle and spending habits. You will also need around $100 to $150 per semester to cover the costs of course books and administrative fees. It generally takes around eight weeks from the time you submit your application until you receive your visa. After arriving in Turkey, you should also apply for a residence permit, within one month of arrival. This can be done at the nearest police headquarters, and requires you to show proof that you are enrolled at a Turkish university, your passport and Turkish student visa, photographs and a fee.